The median revenue growth rate for SaaS companies is 44%. Whether you’re above or below this benchmark, there’s one thing for certain. SaaS companies need excellent marketing. If you want to acquire new clients, keep your current ones, and continue to increase brand awareness, a SaaS marketing strategy is required. Today you will be learning how to market a SaaS business, tools to make the process easier, and more. Follow along! However, only 39% of businesses have a documented content strategy. Are you one of them? It’s easy to focus on PPC, face-to-face networking, and other methods while forgetting about how important producing content is. Build trust with their customers. Increase organic traffic and search authority. 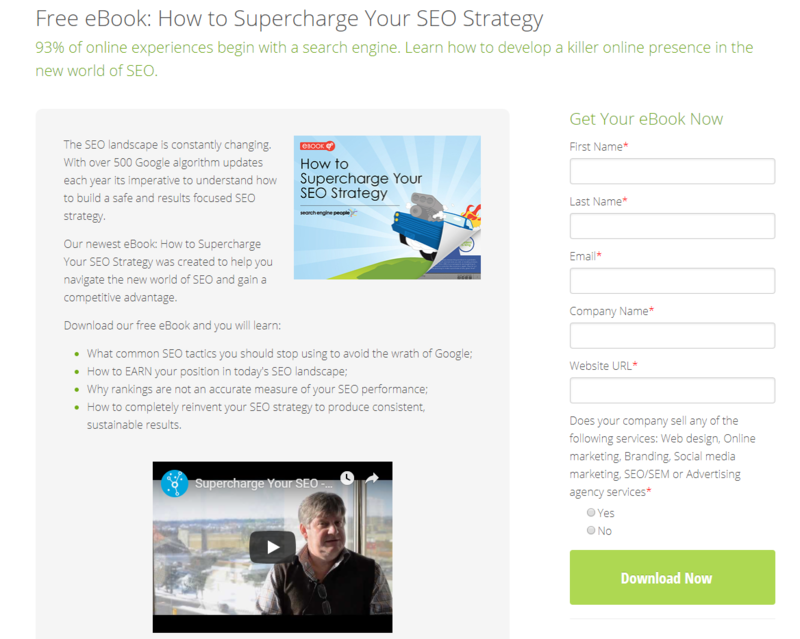 Tie in lead magnets like free e-books to generate opt-ins. Content marketing requires skill and knowledge, but I’m going to show you the foundations that you can start executing today. Don’t be one of the marketers that wings their content, sees no results, and gets demotivated. It’s happens way too often. If you’re serious about scaling your SaaS company, a consistent plan is needed. The first step is to determine what types of content you wish to publish. Blog posts are the best way to begin, because you probably already have a CMS like WordPress, and blogging doesn’t require any fancy equipment. Videos are continuing to rise in popularity among marketers because of their effectiveness. In fact, 46% of them plan to add more Facebook or YouTube videos this year. Podcasts, AKA audio content, is the third most popular format among businesses. Similar to blogging, the barriers to entry are very low. All you need to do is come up with a topic, hit the record button, and start yapping away! The second step is to determine how often you would like to publish content. Your audience needs to know when to tune in, and having a schedule will improve the results from content marketing in the long term. This is why it’s critical that you begin piecing together a content calendar. You will be learning more about how to find topic ideas and SEO keywords later. The third step in creating a SaaS content strategy is setting goals and KPIs. Content marketing goals could be publishing a certain amount of content every quarter, generating a specific amount of leads, or driving X amount of users per day. You need to have these in place or you won’t know whether or not your SaaS content is delivering the outcome you’re looking for. Let’s move onto how to search for topics and keywords now. Coming up with content ideas can often be the biggest sticking point for marketers. I can’t count how many times I sat around scratching my head while looking at a blank screen for an idea to pop up. That’s why I suggest using free tools like Portent’s content idea generator. 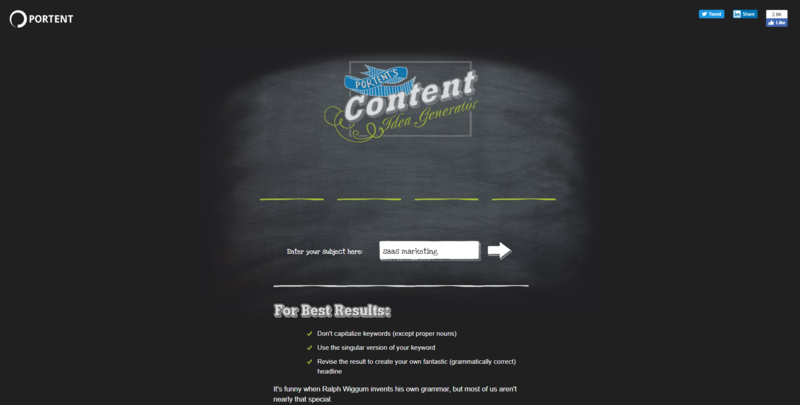 Begin by typing in a keyword related to the piece of content you’re interesting in creating. Click the arrow button afterwards. It will generate a topic idea for you, which marketers should then tweak to make better. Let’s say that you offer payment solutions, for example. 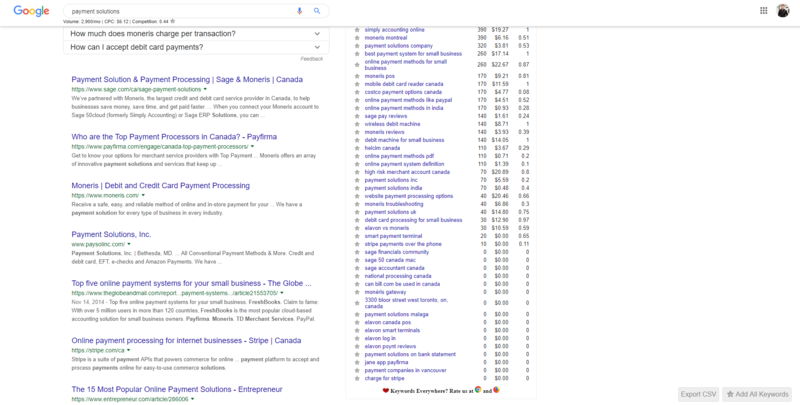 You would search Google for “payment solutions” or another related keyword. Begin visiting the website of competitors and navigating to their blog. I’ll choose Moneris as an example. Bam! You have loads of content ideas instantly. Ensure that you read competitor’s articles, videos, etc to determine what keywords they’re targeting, ideal word count, and other elements to improve upon. Remember you don’t want to copy them. You just want to get some inspiration, and then make something even better. Creating content with no SEO in mind is like making a peanut butter and jelly sandwich without peanut butter. You’re missing half of the recipe! Marketers need to research keywords before they produce any kind of content. It ensures that you index more pages in the search engines and ultimately drive organic traffic. 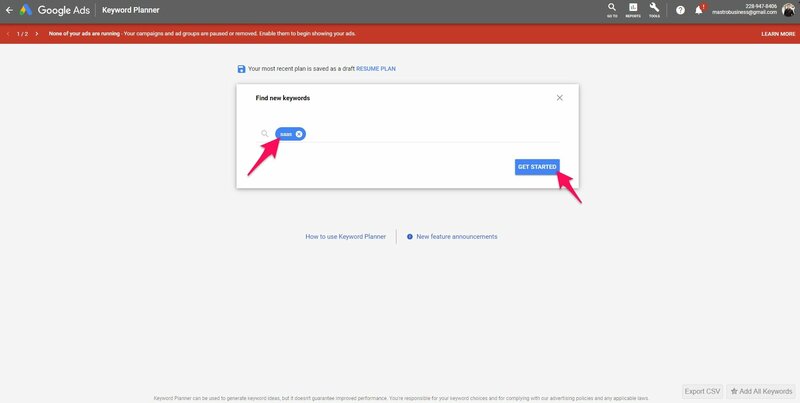 Follow along as I show you how to do this process with Google’s Keyword Planner. Sign up for an account if you haven’t already, as well. Click the tools option from the top right, and “Keyword Planner” afterwards. Select the “Find new keywords” option on the next page, then enter a word or phrase about the piece of content you’re focusing on. This will bring you to the results page, where there are several important columns to analyze as I’ve highlighted below. My page may look slightly different, and that’s because I’m using the free Google Chrome extension Keywords Everywhere. It provides further insight into search terms, whether you’re directly searching on Google or on a platform like Google Ads. However, the most important metrics to pay attention to are volume, competition, and monthly searches. CPC is useful if you plan on creating Google Ads campaigns, otherwise you can leave it alone. Informational: The user is searching for a guide, tutorial, list, or piece of content that will help solve a question or problem. These are ideal for a lot of the material you will produce in your SaaS inbound marketing strategy. Navigational: These are keywords that are queried for the goal of finding a specific brand, website, or business. 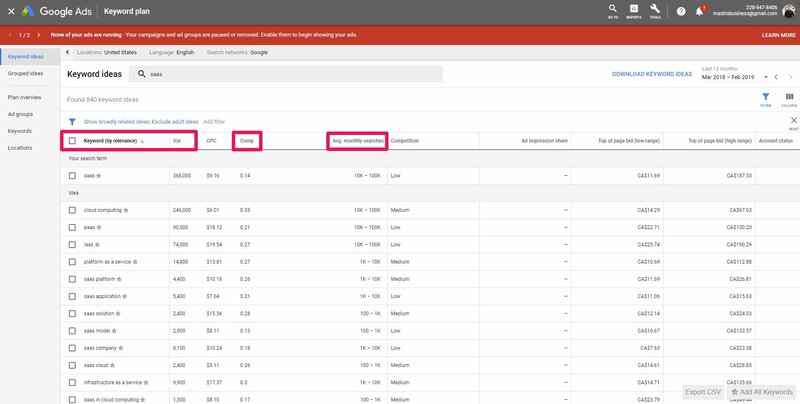 When Google sends crawlers to your website or other platforms, it will be able to detect what your content is about, and rank you accordingly. Let’s move onto other forms of SaaS marketing outside of content now. Email remains as the third most influential form of content in the B2B space. Do you have any email marketing tactics in place? If not, you are missing out on serious amounts of leads and revenue! But, all hope is not lost. If you focus on creating the foundation of a good email marketing campaign, you can look forward to growing your SaaS business a lot faster. Here’s how. Users can’t join your email list unless you have a way to ask. This is why marketers will need a tool like Mailjet to make an opt-in form and funnel. Sign up from their home page here. Fill out the profile information on the next page, and verify your account via email afterwards. Integrating Mailjet differs on the exact platform you use. For example, on Shopify there is an app you can install, while there is a plugin for WordPress. Either way you will also have to enter your API public and secret keys, which can be found on the “Transactional” page of the Mailjet website. The official WordPress plugin page describes how to add the opt-in form as such. Follow the instructions for whichever platform you’re on to get the form integrated properly. Lead magnets are free sources of value that are exchanged for an email subscription. These are often free e-books, whitepapers, case studies, consultations, checklists, or similar material. What kind of free value can you offer to your customers? Since you’re a SaaS business, consider a free demo or extension onto an existing plan perhaps. Look how SearchEnginePeople offers free resources in exchange for information about the user. It’s also very easy to unsubscribe from an email list, so it’s high priority that you use email marketing responsibility. This means only sending out high quality newsletters that improve the lives of an audience. I’d recommend that you focus on sharing the latest blog posts, whitepapers, updates, and news that your SaaS company has to offer. Avoid constantly trying to sell your products to an email list, as it isn’t why they signed up in the first place. Keep the 80/20 rule in mind. It means that 80% of newsletters need to be non-promotional, and the remaining 20% can speak about your service. Marketers can also save heaps of time by putting together a drip campaign that sends out emails on a set schedule once someone signs up. 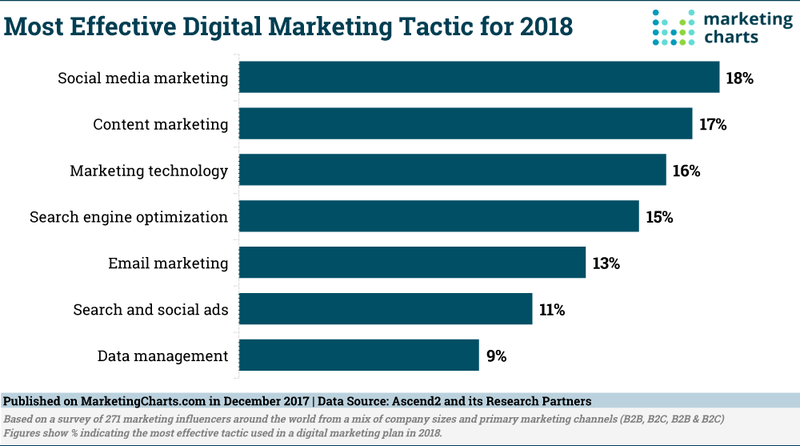 According to MarketingCharts.com, the most effectively used marketing channel in 2018 was social media. This isn’t too hard to believe. It seems like everybody and their grandma is on Facebook and Instagram these days. Even if you’re not targeting general consumers, there is still heaps of potential for B2B companies on social networks. Did you know that 30% of consumers are willing to purchase something recommended by a non-celebrity blogger? Recommendations, testimonials, and reviews remain as one of the most powerful ways to generate sales, and it ties in perfectly with social media. Finding influencers is a breeze, too. There are different tools marketers can take advantage of like BuzzSumo. Specifically BuzzSumo connects entrepreneurs with industry leaders, so they can find opportunities to work together. Nonetheless, this doesn’t mean that you can’t manually look for related brands on social networks by hand. 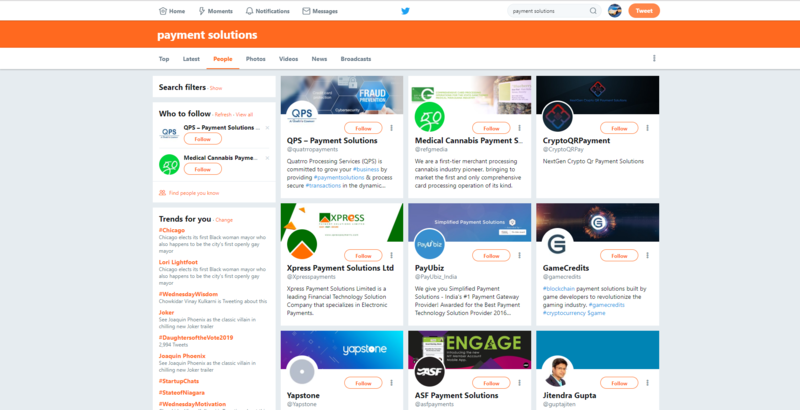 Continuing off of the payment solutions example earlier, you could search for them on Twitter, for example. A free membership or access to your softwware in exchange for a review. Shouting out one another on various social networks. Collaborating on a video, product, or webinar together. Marketing a SaaS business doesn’t have to be hard. You need to stick to the basics and build a solid foundation. This means starting off with a consistent content marketing strategy. Map out a plan that details a publishing schedule, content formats, and other information like target keywords. 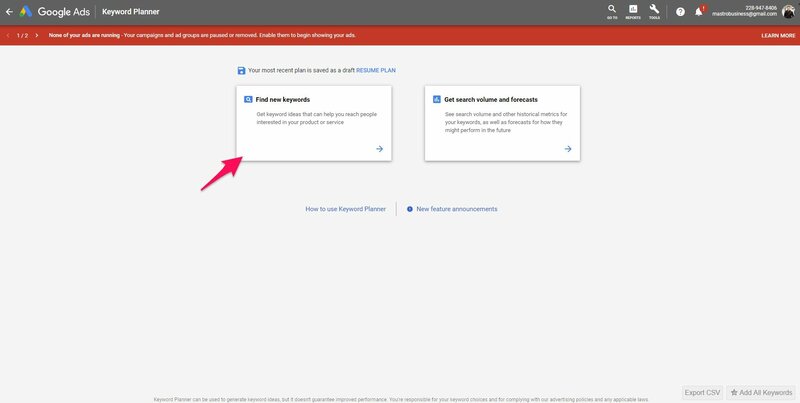 Some good tools to help with these individual processes are Google’s Keyword Planner, SEMrush, and Evernote. Content also goes hand-in-hand with email marketing. Use a service like Mailjet to integrate an opt-in form, and begin sending out newsletters to your new subscribers. I would also recommend offering a lead magnet to increase how much users subscribe. Lastly, give love to your social accounts. Make sure that they look consistent across all platforms, and begin forming relationships with other brands. Offering free access to a SaaS product for a review or shoutout is a common and effective strategy. What’s your favorite way to market SaaS businesses?